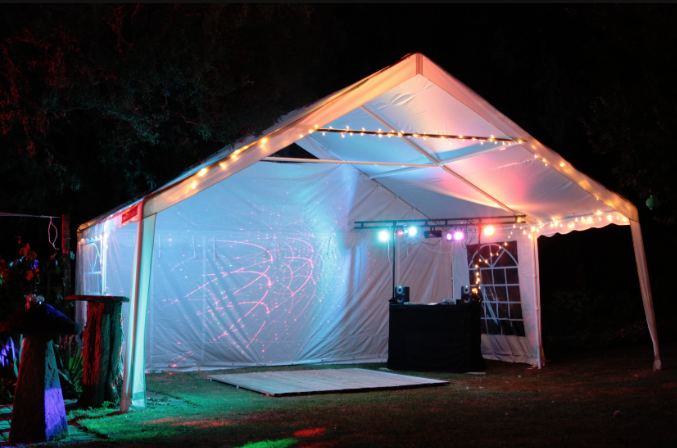 If you love silent disco, it may be time to get your own pop up tents so you can enjoy the fun whenever you want. Entertain your friends or turn your hobby into a business. Either way, here are some tips to get you started on throwing your own headphone party. Why silent disco?Silent disco emerged about 10 years ago, and it’s still going strong. What’s not to like about entertainment that lets you party without bothering your neighbors with loud noises at late hours? Plus, it looks funny when people dance in a quiet space. How can I throw a silent disco party?Whether you’ll be taking your pop up tent to a major music festival or setting it up in your own backyard, there are a few things to keep in mind. Besides your tent, you’ll need to rent or buy headphones. You can find many companies browsing online. Read the terms carefully, and decide if you want to buy just the headphones or if you want to arrange for additional services like tech support and DJs. You also need to keep those headphones safe so you’re not replacing them all the time or getting stuck with fees from the rental company. Don’t forget the power strips either so you can recharge your headphones. Otherwise, the music could come to an end quickly. As far as the tent size, think about the size of the crowd you’re likely to attract. You may even want more than one pop up tent if you’re going into business so you can offer your customers a range of choices. 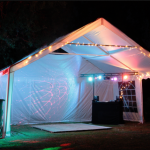 The easiest part of throwing a silent disco party may be getting your pop up tents, especially when you shop at canopiesandtarps.com.Contact us today for portable, lightweight and easy to use pop-up canopies perfect for casual or posh events. This entry was posted in pop up canopies, pop up tents and tagged pop up tents on February 11, 2019 by Canopies Tarps.